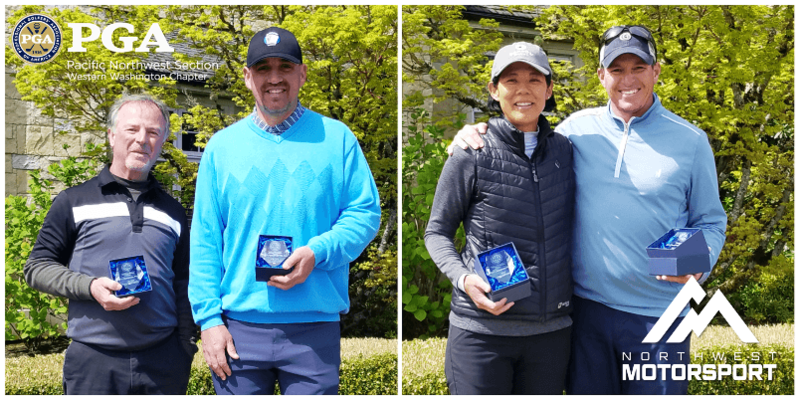 Left to Right: Branning Luvaas, Fircrest GC, and Eric Briggs, LakeLand Village GC shot matching 69’s to win the Northwest Motorsport WWC PGA Pro-Member at Fircrest Golf Club. Drive for show and putt for dough….or a bit of both! 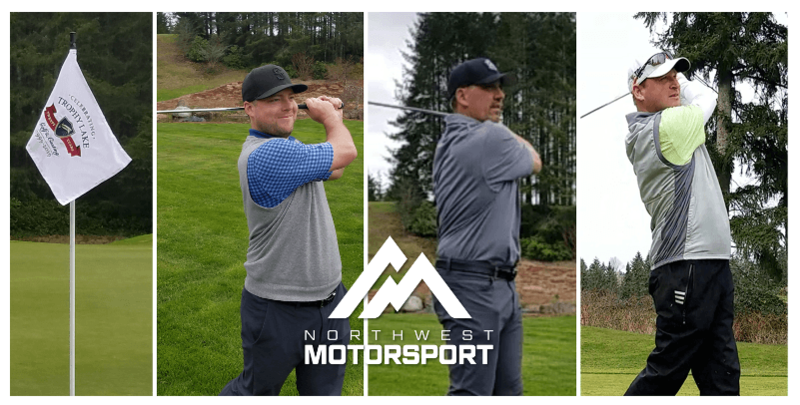 Left to Right: Austin Hurt, Wing Point G&CC, Keith Coleman, Harbour Pointe GC; & Brian Thornton, Meridian Valley CC; all tied with a 5-under par 67’s to win the Northwest Motorsport WWC PGA Pro-Member at Trophy Lake Golf & Casting. Left to Right: Lance Kilbride & Keith Coleman from Harbour Pointe GC won the Gross Competition while Kristina Belfiore & Adam Rogers from Overlake G&CC won the Net Competition in a scorecard playoff over David Phay & Roger Pierce from Whidbey GC.